Inspiration for improvement can come from anywhere. Imagine getting a call from your security service during the weekend. Now, as a CEO of an early stage start-up, 10 times out of 10, if you get a call like that, you will have to deal with it. The service said there was an intrusion into the office. So I had to put down whatever it was I was doing and go check it out. When I arrived at the office, I found that one of our employees had a hobby drone he had designed and built and I noticed the employee had connected it into some of the measurement instruments at our office. He didn’t know he had triggered an alarm and he was quite embarrassed. At first, I was fairly annoyed. He probably should’ve asked for permission. But he was quite honest when I asked him about it and simply said that he wanted to use some of the technical instruments in the office. Instead of chastising the employee, a bell went off in my head. Wow, I thought, that’s a great idea and it presents a wonderful opportunity for our employees that I had never realized. We have a 3D printer in the company. We also have electro-optics, electronic equipment, software, and algorithms. I think most people understand the difficulties of being the CEO of a start-up. Securing investment is just the beginning. Then you have to round up a small number of workers, usually a core group you have worked with before, to build the foundation of the company. Then, hopefully, the time comes when you need to grow the business and that means hiring new employees from outside the comfort zone of familiar colleagues. OK, once you’re lucky enough to get to this point, a reality sets in that you probably never envisioned. It forced me to change my thinking about what I can do to retain my employees. In order to keep a start-up company’s momentum going, you have to be proactive and creative in retaining employees. After all, employee churn is a huge waste of time and time is the most valuable resource I have (or don’t have). Having a company based in Israel, we are blessed with a thriving high-tech ecosystem. And it follows that there is exceptional employee talent for start–ups to utilize. The problem is, more and more companies from all over the world and their incumbents are competing for Israeli talent. Intel, HP and Microsoft have been here for years. But the newcomers like Amazon, Facebook and Google are also flexing their financial muscle to acquire talent, and it is high level talent. The kind that can really slingshot the development of a start-up. Young people with multiple post-graduate degrees, many with military experience and all with the ability to solve problems quickly and bring a company much closer to market and at less risk overall. So, in order to compete and retain, we have to take a different approach. 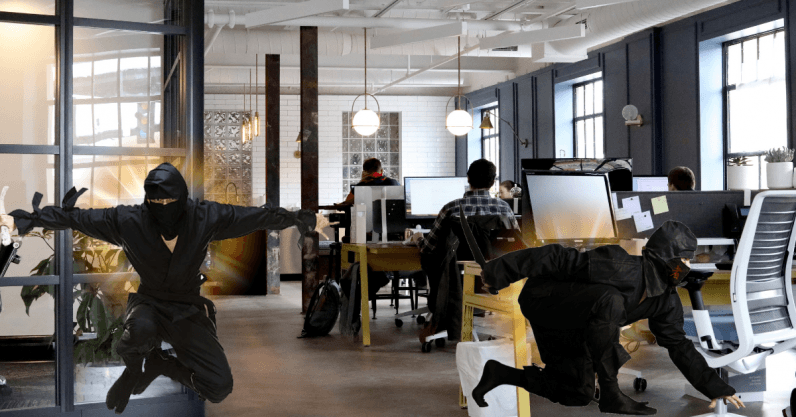 We think less about hiring and more now about how we can turn our employees into ninjas. And, when I say ninjas, I mean complete professionals. We help them learn how to work in a small company (and big companies as well) and while we benefit from how they serve the company in terms of their own skill set, we make sure they continue to develop and learn and grow as professionals. Both in fields that they are good at, but also in the fields that they can choose to develop. The Hebrew name for “the company” is also the same name for society. That’s interesting to me because, in both cases, I firmly believe the glue that holds both together is dialogue. Our efforts to retain employees are based on the overarching goal of removing distance between management and employees. Dialogue (usually in the form of end-of-the-week “happy hours”) helps us make them comfortable. It also reveals potential hidden problems and allows us to make adjustments to address those as well. Did you know the average stint of new employees in Israel is two years? We haven’t had a regular employee leave in three and a half years. In the meantime, I will continue to make sure each of our employees know that we are always looking for inspired ways to keep him or her absorbed in our mission and to foster their growth professionally and personally.